On every trip, you always have to forget at least one thing. Sometimes it’s something easily replaceable, like a toothbrush, other times it’s something essential, like a passport. On this trip to Europe, I forgot something that’s just really annoying: a rain jacket. It has rained almost everyday here and while I don’t mind being out in the rain at all, I’m usually more prepared to get wet. 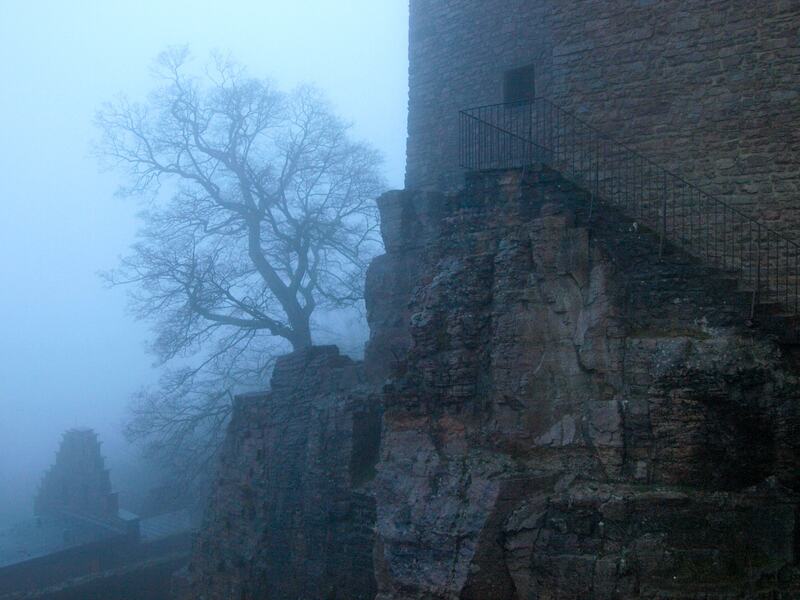 The upside of all the rain is that I’ve been taking some killer foggy castle photos. 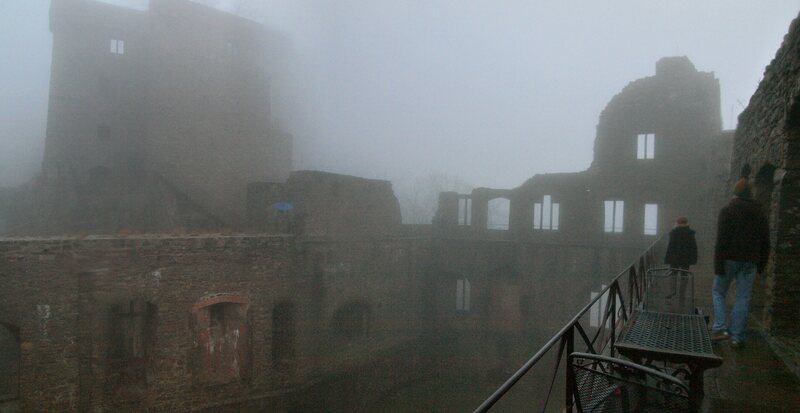 Rain creates the perfect atmosphere for exploring and photographing castle ruins: spooky, foggy and empty of tourists. The Rhine Valley, on the border between southwest Germany and France is studded with hundreds of castles, in varying states of ruin. 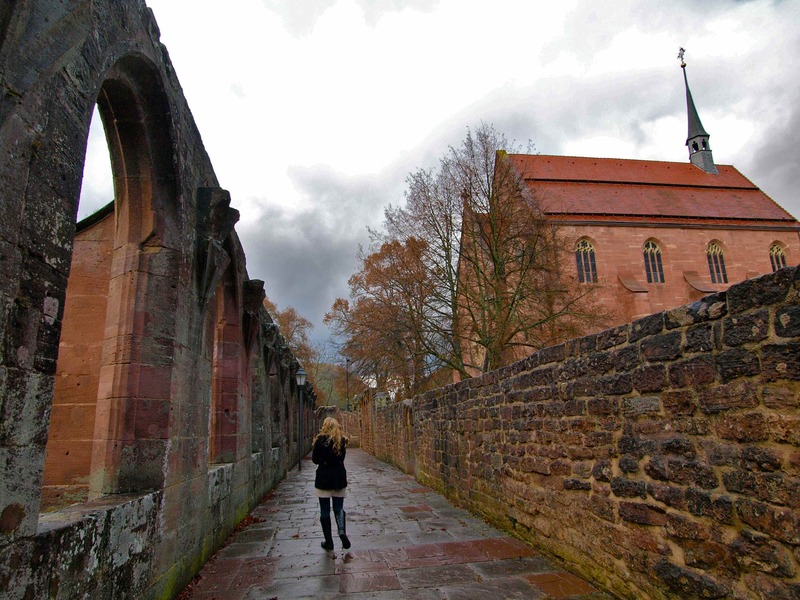 Most were built around 1100 and destroyed by warfare at some point in the Middle Ages. Ruins are so ubiquitous here that we’ve been finding them simply by driving around the countryside and spotting them on hilltops. 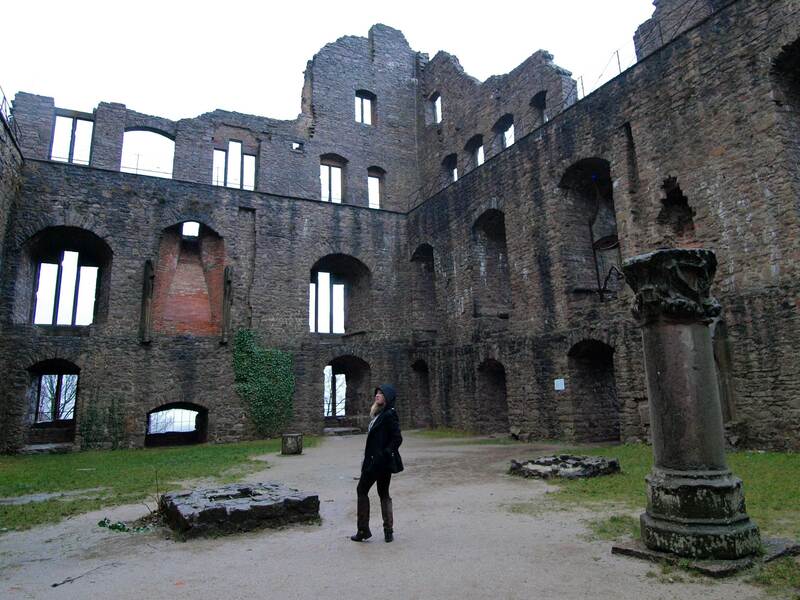 So far, we’ve visited Hornberg Schloss, Burgruine Lichteneck in Kensingen, HohenBaden Schloss above Baden-Baden and Hirsau Abbey. Hopefully we’ll hit a few more before I fly home on Friday! Hohenschloss. Started in 1102 and destroyed by fire in 1599. 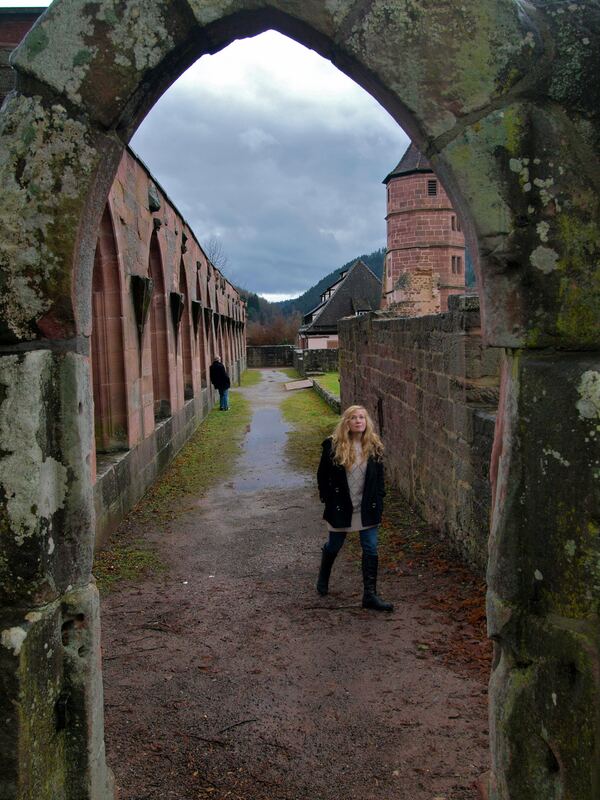 This entry was posted in Beyond the USA, Photography, Road tripping!, Uncategorized and tagged castle, Germany, Rhine Valley, ruins. Bookmark the permalink. 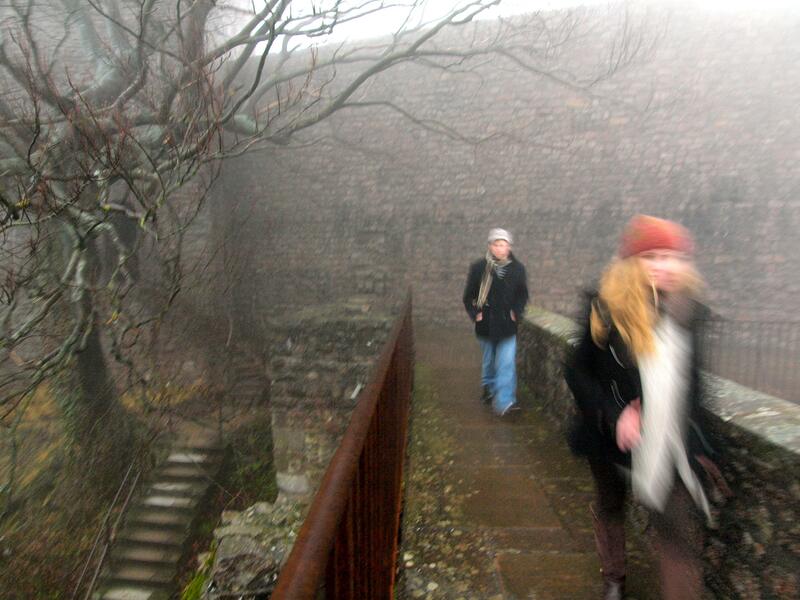 Incredible photos, Mary…and I love the gray and fog and all of it. Cool photos! 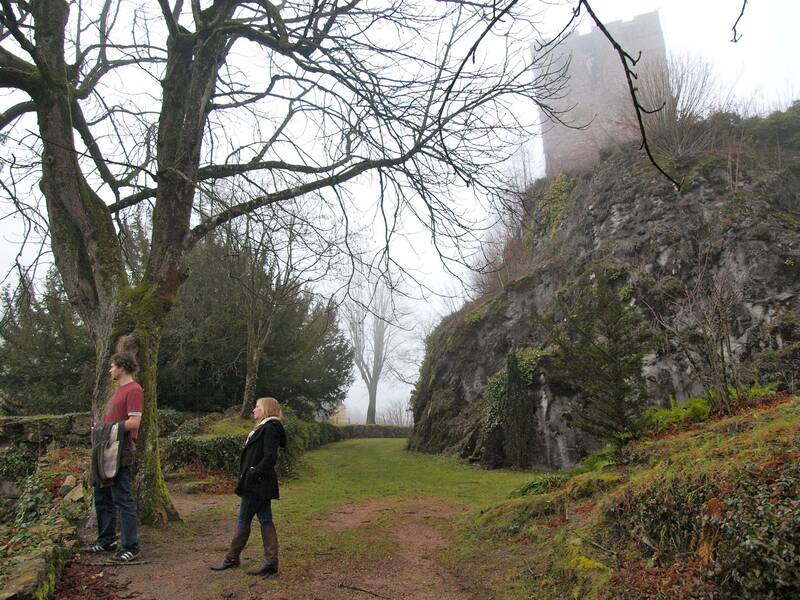 I agree, the fog is great with the castles and the ruins.